As urban populations increase and e-commerce continues to gain popularity, supply chains are contending with the challenge of making deliveries in dense urban areas. Taking advantage of smart cities’ data collection capabilities is just the first step on the long road to developing comprehensive smart city logistics. 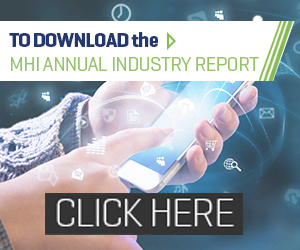 The 2017 MHI Annual Industry Report, in collaboration with Deloitte, reflects the views of 1,100 manufacturing and supply chain leaders on this important topic. To stay on top of the accelerating pace of change, MHI is embarking on a series of video updates on topics covered in the 2017 report; focusing on projections from leading firms and real-world case studies of the benefits these trends and technologies are having on supply chains and global commerce.